Base wise – it needed a touch up. I used the kleenex blotting powders (amazing) to absorb any oil on my face, which makes your face feel so much better. I touched up a little bit with my collection lasting perfection concealer, and then gave everything a light dusting of powder with the soap & glory one heck of a blot powder. 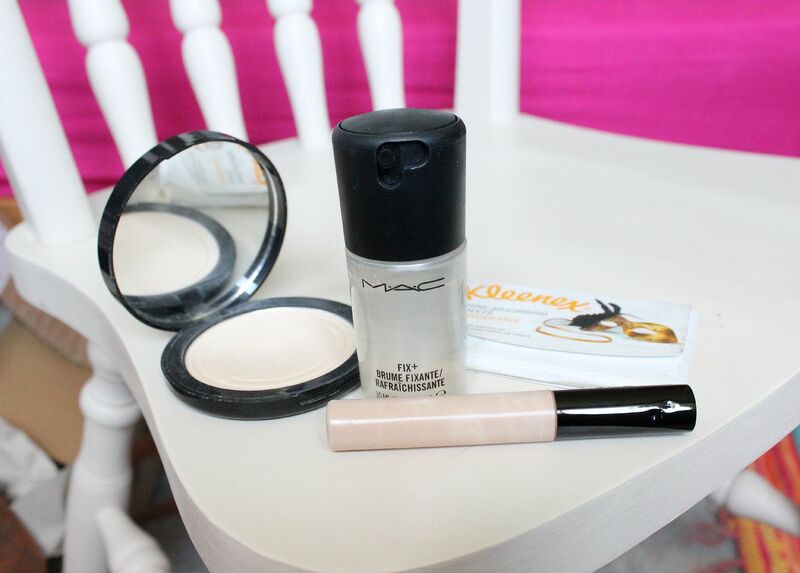 Lastly I used a few spritzes of MAC fix + because it smells amazing and makes skin look fresher/now powdery. 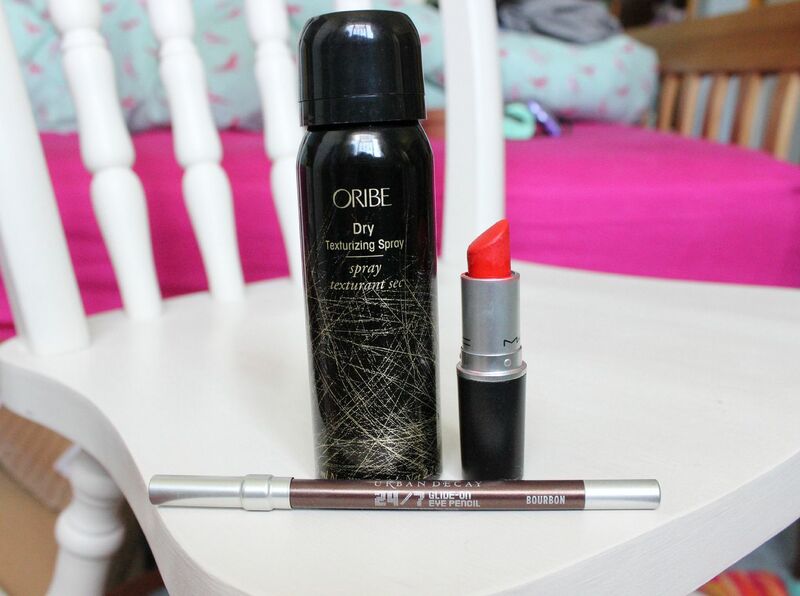 In terms of glamming things up, I refreshed my hair with the Oribe dry texturising spray (overpriced), and used some more deodorant and perfume. Lastly I used some of the Urban decay 24/7 eyeliner in bourbon – so creamy – and slicked on some MAC lady danger, which is my go-to lipstick, and the one that instantly makes me feel a bit nicer.